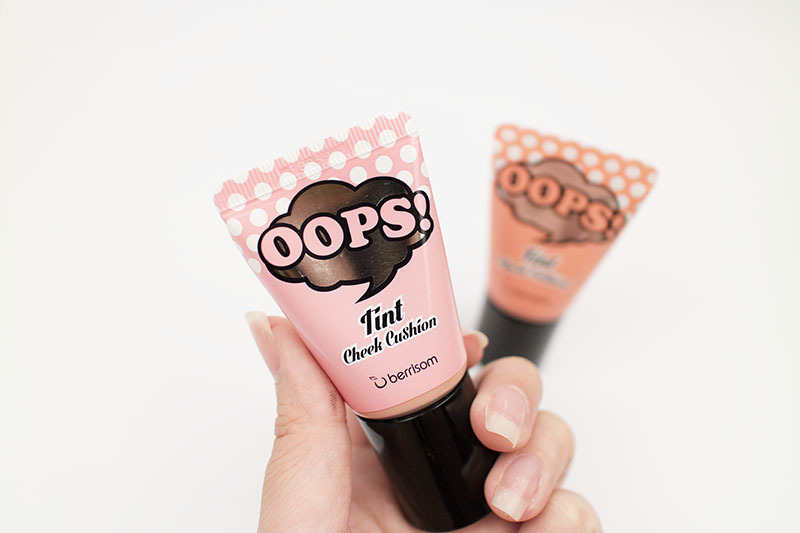 Review: Oops! 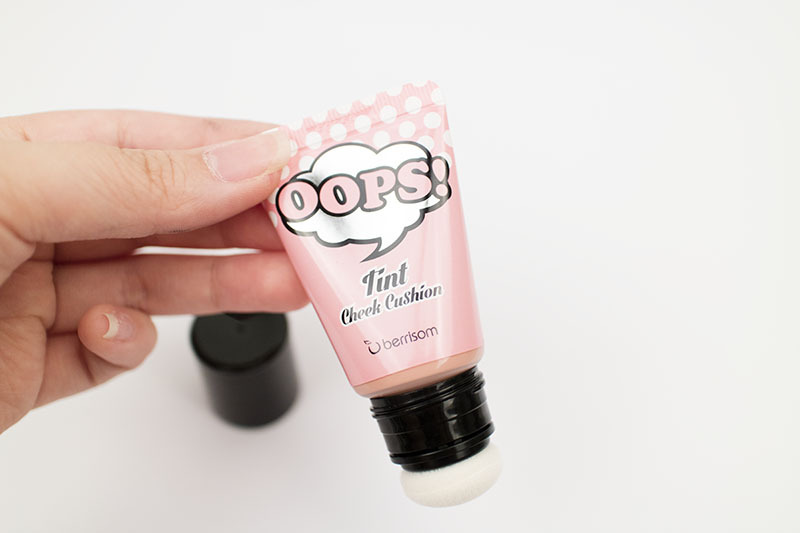 Tint Cheek Cushion (Berrisom) – Oh My Stellar! I love rosy cheeks. In fact, I’ve probably gotten even more obsessed with blushers lately – probably because fatigue and the cold has had my complexion looking rather dull. 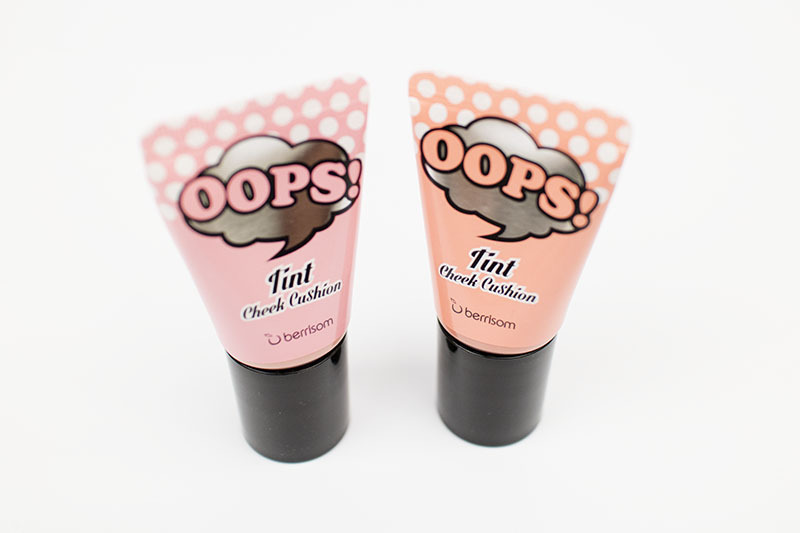 A hint of pink on your cheeks is perfect in the mornings to give you a lively, bright look. I’ve been testing different formulas from powders to creams, so I was pretty excited when these babies rocked up in my mailbox. This is Berrisom’s Oops! 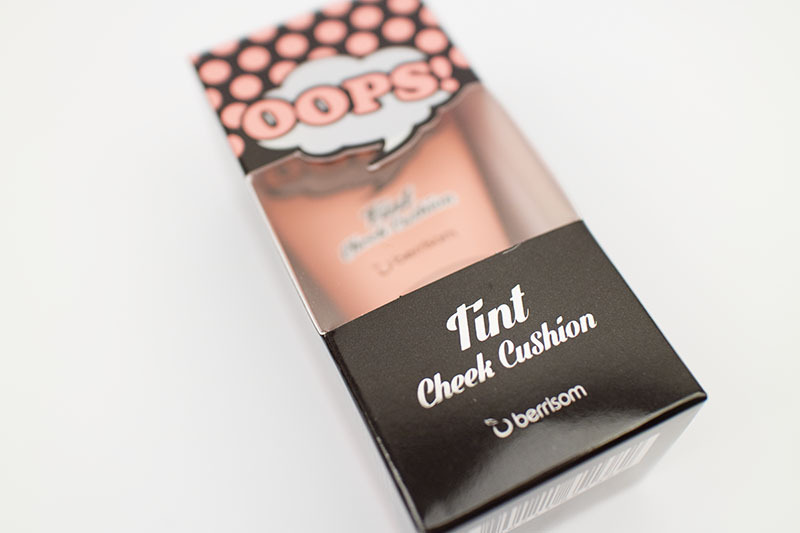 Tint Cheek Cushion. You might know the brand for their peel off lip tints (which I’ve actually yet to try) but today I want to introduce another of their products to you. This is essentially a cream blusher with a built in sponge applicator so you can squeeze out the product, apply and blend. It’s meant to be super easy, making it appropriate for mornings and when you’re on the go. 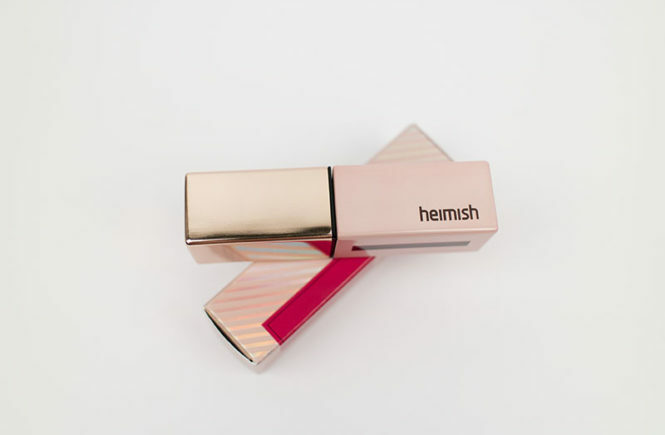 The formula is also supposed to be thin like an emulsion, allowing it to feel and act much like a tint. 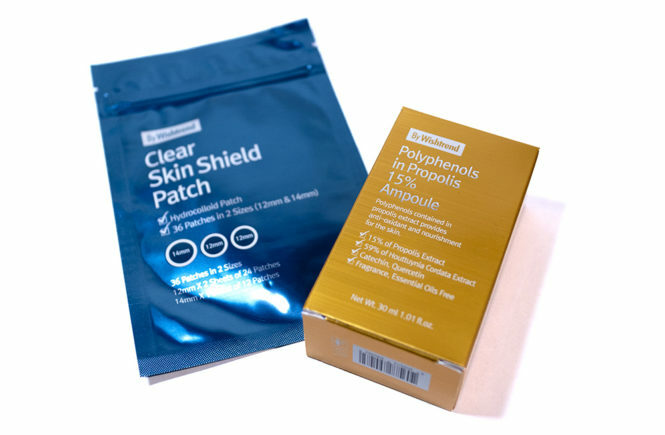 The product comes in two colours and I was sent both to review by BB Cosmetic; an online store that I often recommend for small, spur of the moment shops because they have free shipping (and I also have a code that you can use for 8% off… at the end of this post). First off, I absolutely love the packaging for this. 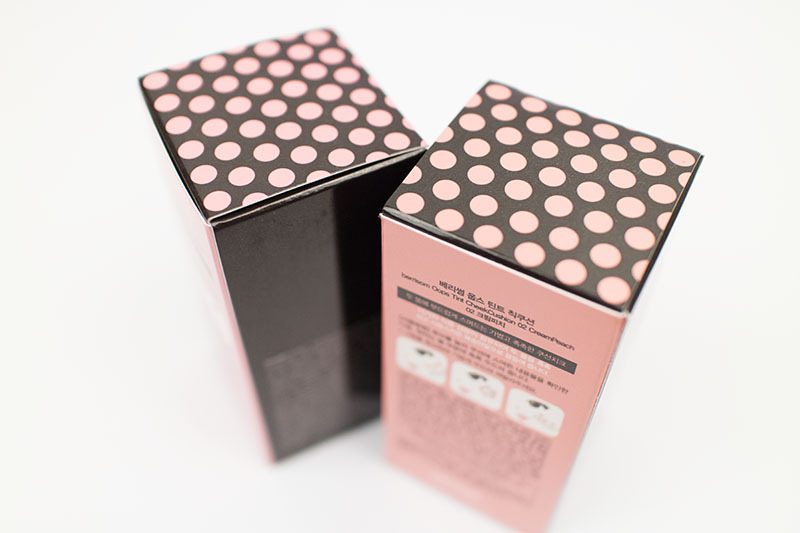 It’s a fairly simple box with a clear window in the front so you can see the product. I think the design is really cute and it would be good as a present too. 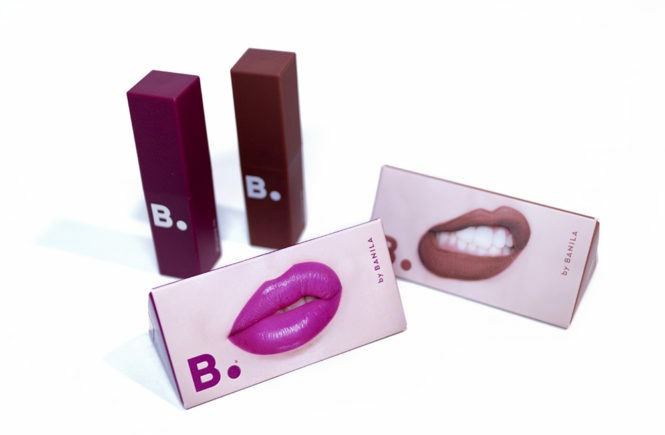 The pop art inspired look really works for this brand and I also like that the two boxes are colour coded to the blusher shade. The box isn’t flimsy, but the material would be rather, I’d say. There was no damaged at all during postage. The tubes are also really cute. I like the polkadot design and the metallic speech bubble. 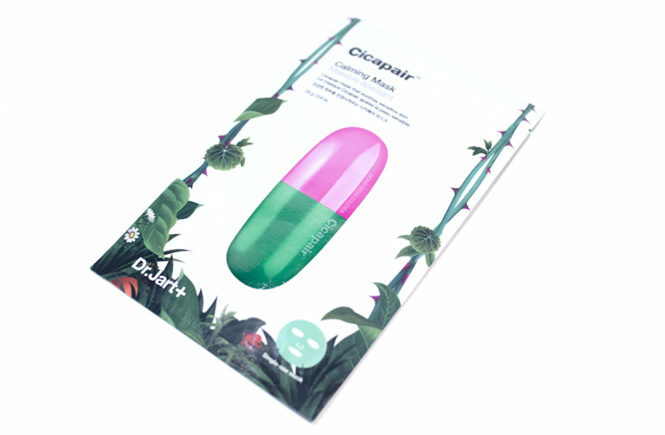 It’s make of a soft plastic, making it really easy to squeeze. It’s also small and light enough to carry around for travel, but might be a bit bulky in your handbag – I still think a compact would be easiest for that. The tube is also colour coded to the shade so I have no difficulty finding it even in my big (overflowing) basket of make up. I’m not sure if this is on purpose, but there’s a strip on the side of the tube that isn’t covered so you can see how much product you have left. It’s definitely handy but, to be honest, might just be a little hack that I discovered, haha. 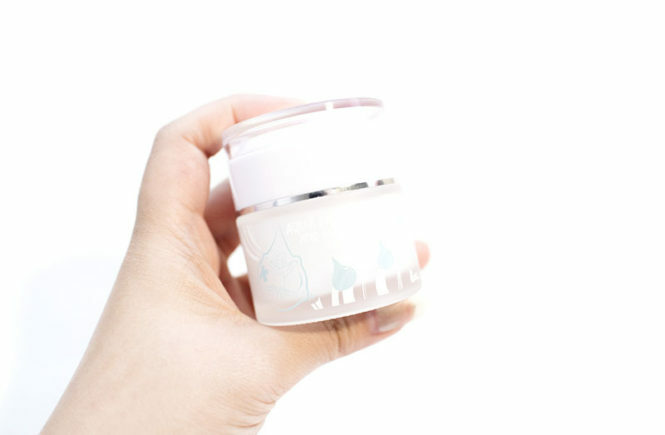 The lid is also sealed and, when you open it, you’ll notice that the sponge is clean and white – make sure that you have a new product! It’s really quite impossible for someone to send you an old one though because, aside from the seal, the cushion sponge is also really obviously used once you start. The two shades that I got are called Sugar Peach and Cream Peach. 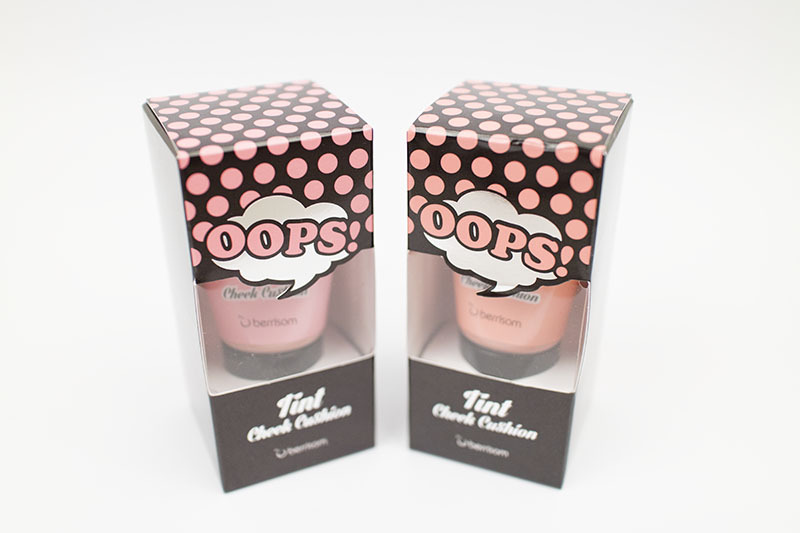 They both look like very soft, feminine shades. The colours aren’t all that unique, but I hope that the concept of these and the application/formula makes up for it. The sponge applicator sort of bounces, though I don’t think it’s soft enough. It hurts my cheek bones a little if I keep pressing it down like that. It works well though and gives a nice, even application. 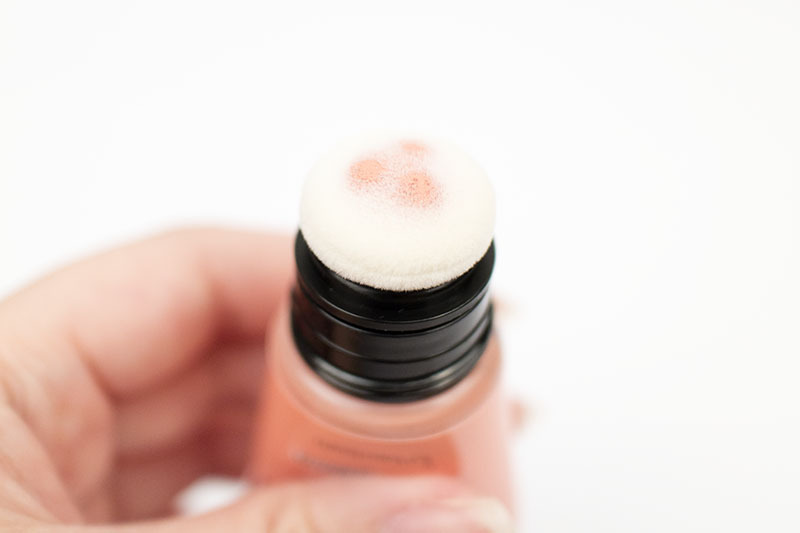 To start using the product, squeeze down on the tube (you might have to squeeze pretty hard to begin with) and the product will slowly squirt out from the centre of the sponge (see below). 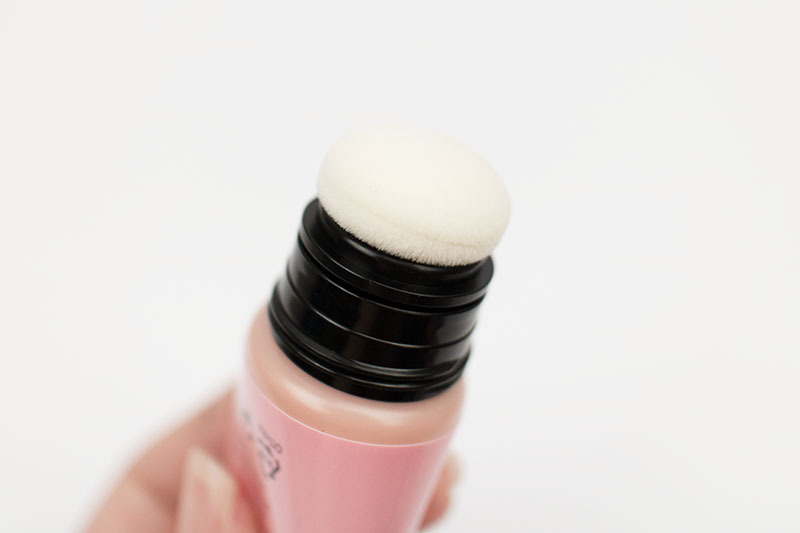 After this, I don’t find that I need to squeeze it again – only slightly or I can keep bouncing the applicator to dispense more of the product. 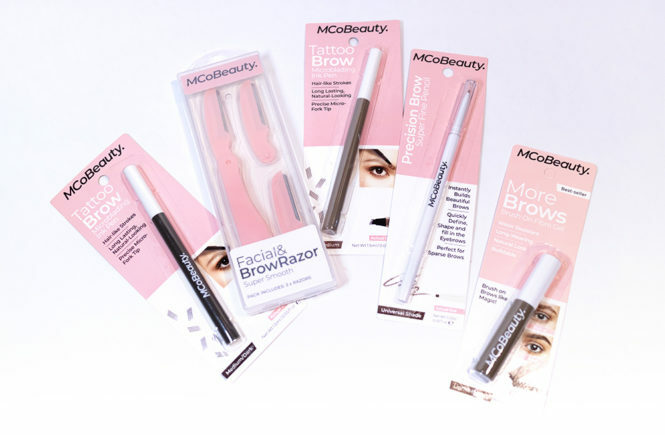 The tube is definitely really easy to use and application is fast as well! I have been using this in the mornings and it takes me were seconds to apply and blend. And here are the swatches – applied and then blended out. The first is Sugar Pink and the second is Cream Peach. Sugar Pink is a soft pink colour. It isn’t too blue based but it isn’t very warm either – it’s quite natural. I find that this one is a little too light on my skin and would work best on player complexions. It is pretty though and I usually reach for this when I want a very subtle flush, especially if I’m wearing darker eye or lips. Cream Peach is definitely my favourite and I’m reaching for it almost every day. It’s more warm and orange in tone, much more intense, and gives a more sun kissed flush that probably better suits the style here in Australia. I’ve always loved coral shades so this one was an easy favourite for me. I feel like this colour would be universally flattering, to be honest! 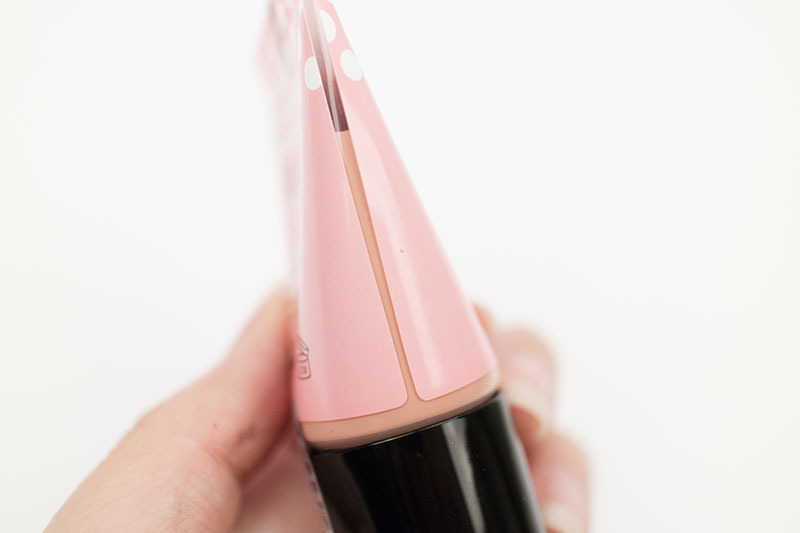 Overall, the formula was easy to apply and blend. 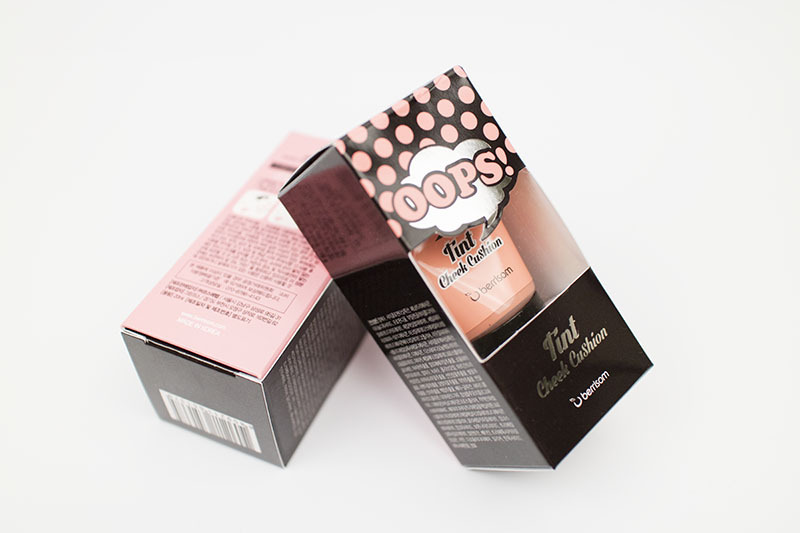 However, as it is thin and meant to work similarly to a tint, you do have to work quickly. I left the swatches on for too long at first and noticed that it left darker streaks when I was trying to blend it out. It is best to work on one side of your face at a time or at least don’t leave it sitting there (which would be silly anyway). 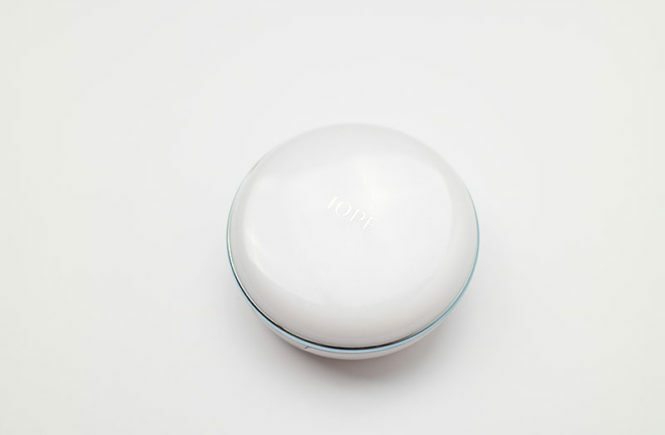 The blusher is very light and feels like you have nothing on. 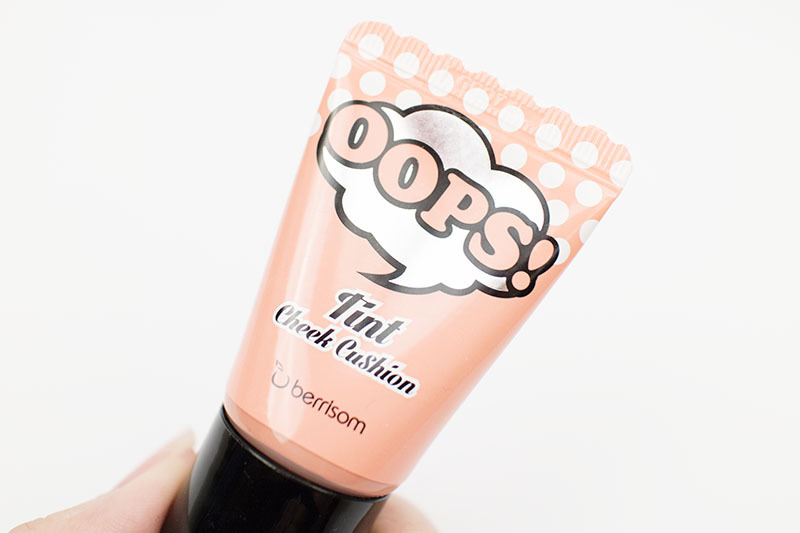 It blends easily into my base make up as well and doesn’t cake up when I apply highlighter on top of it. It is also easily buildable so, if you feel like the colour is too light, just go back over it after blending. Overall, I love the formula. My only complaint will be that the cushion does get dirty. Since a bit of residue cream is left of the sponge, it starts to darken and look like a stain. I’m not sure if I can wash it, but I will probably try and take off the applicator for a good cleaning. I’ll update this post once I figure that one out! I seriously wish that there were more colours! 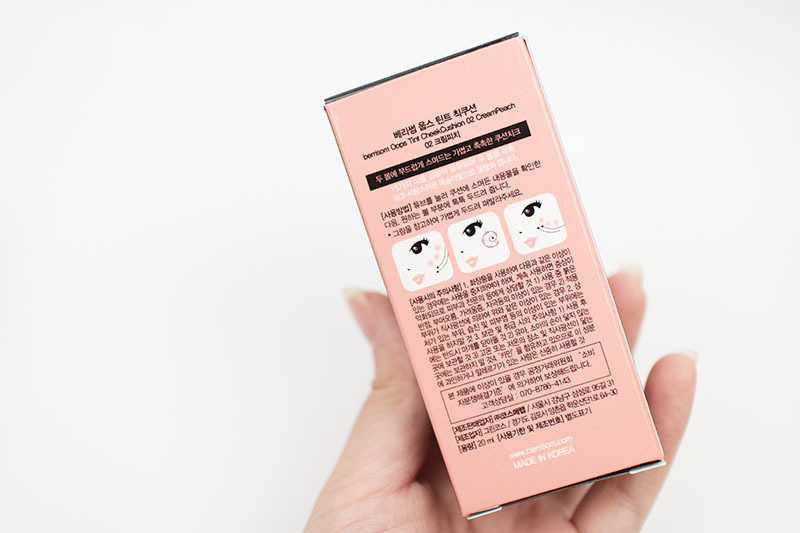 I do love this product and I think it’s one that I won’t consider coming back to in the future (since I’m still testing a lot of other blushers). So far, it’s worked really well for me and slipped itself seamlessly into my every day make up routine. I would definitely recommend this product! Berrisom has done well. Applying blush lower on your cheeks can give you a more mature look, especially if it is also angled. Alternatively, apply the blush higher on your cheeks for a more youthful and trendy look! 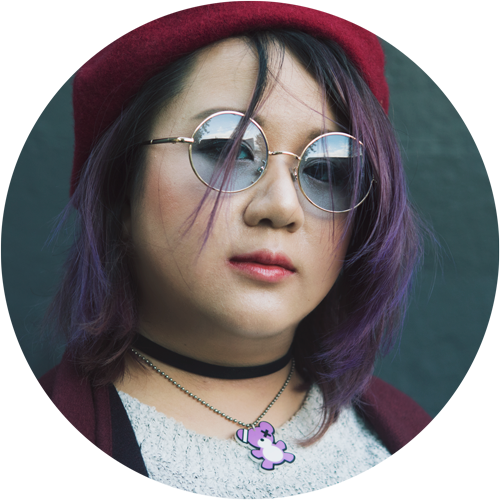 High blush is a current trend in Japan and Hong Kong, and I’m loving it.